The CAN messages, including errors, are called "frames." Our attack focuses on how CAN handles errors. Errors arise when a device reads values that do not correspond to the original expected value on a frame. When a device detects such an event, it writes an error message onto the CAN bus in order to "recall" the errant frame and notify the other devices to entirely ignore the recalled frame. This mishap is very common and is usually due to natural causes, a transient malfunction, or simply by too many systems and modules trying to send frames through the CAN at the same time. If a device sends out too many errors, then­ -- as CAN standards dictate -- ­it goes into a so-called Bus Off state, where it is cut off from the CAN and prevented from reading and/or writing any data onto the CAN. This feature is helpful in isolating clearly malfunctioning devices and stops them from triggering the other modules/systems on the CAN. This is the exact feature that our attack abuses. Our attack triggers this particular feature by inducing enough errors such that a targeted device or system on the CAN is made to go into the Bus Off state, and thus rendered inert/inoperable. This, in turn, can drastically affect the car's performance to the point that it becomes dangerous and even fatal, especially when essential systems like the airbag system or the antilock braking system are deactivated. All it takes is a specially-crafted attack device, introduced to the car's CAN through local access, and the reuse of frames already circulating in the CAN rather than injecting new ones (as previous attacks in this manner have done). Any sanely designed (especially automotive) system will recognize absense of critical subsystems from the CAN bus and counteract accordingly. The here mentioned "Attack" is at best a tool to exploit already existing system flaws. Given access to the CAN bus in the first place worse and far more subtle things can be done rather than merely deactivating subsystems. As I wrote on the other thread: While computers may be overall less error-prone than humans (for the tasks they are programmed for, assuming they are well programmed), when they make mistakes, they make them consistently. That is a big problem for the self-driving car. We just have no idea yet what could possibly happen, what ripple effects subtle bugs in the software could have, once they are deployed at large scale. In addition there is the specter of a vulnerability that a malicious attacker could use to wreak large scale havoc. I don't see how this could ever be excluded. Oh wow, turns out you can disrupt a bus when you have physical access to it. Oh come on everybody. This is not a new concept. "Oh wow, turns out you can disrupt a bus when you have physical access to it. Oh come on everybody. This is not a new concept." This could only become relevant if someone were daft enough to add wifi connectivity to CAN. I'm surprised no one mentioned another attack vector that I've heard of. Apparently, a passenger in a car can grab the wheel and induce sudden maneuvers that can create hazards. The best countermeasure described so far involves ejecting all passengers before setting the vehicle in motion. It's almost as if being in physical possession of an asset is tantamount to its control. Uncanny, huh? I was poo-pooing this based on the physical access requirement, until someone pointed out that things like the in-dash infotainment system are on the CAN bus and have connections to the external world. If you can compromise the infotainment center (via cellular, wi-fi, or even a USB stick) you're in. The trouble, IMHO, is that the engineers designing automotive systems are used to considering them as isolated private networks, with trust automatically given to other devices on the network. This is the same state the Internet was in a few decades ago, when it was composed of just a few mutually friendly nodes. It took some high-profile attacks to get engineers to start building protections against bad actors. I think this is the current state of the automotive industry, and I think they'll remain there until the automotive equivalent of the Morris worm strikes and leaves thousands of motorists stranded at the side of the road. Requires physical access to wire into CAN bus. With that kind of access, one can "hack" the brake line with a rotary tool. How about completely stock from the factory remote attacker vectors. These are standard tire pressure sensors: ACDelco 13598771 - they all talk to a antenna connected master that is wired to the CAN in order to do things like light up an alarm on the instrument console. This has been stock on most cars made since 2006. Because...you never know when your tire might need to remotely start your motor, right? Though people then seemed more worried about tracking that tire sensor transmissions than the fact that deeper in the car is something else listening to those transmissions that we can fiddle with. Or simply lock them in the trunk before you take off. Hacking ships is more than hacking cars! My comment is being eaten by the spam filter? Disabling systems is just about the least worrying thing an attacker can do; instead, he could spam faulty sensor readings and such on the bus, either simply swamping the real readings from the real sensor, or purposely corrupting those frames. It has been demonstrated, several years ago, that it is possible to completely disable the brakes, by making the ABS system think all of the wheels are slipping, and completely release the brake pressure in an attempt to get them moving again. If you only disrupt the CAN bus, preventing sensor measurements from making it to the ABS module, you can still brake normally as if you didn't have ABS at all. One problem is that CAN is specifically designed to be very simple an reliable; there is a message identifier (no source or destination address exists), a few control bits, at up to 8 bytes of data, per message. The message identifier determines the bus priority; lower identifiers get priority because of the bitwise arbitration. There simply is no space for any message authentication, there only is a CRC checksum to detect bit errors. This means anyone can send any message on a CAN bus, without any other module being able to verify the authenticity of the message. This is, in my opinion, only part of the actual problem. The REAL problem is idiot software engineers not programming DEFENSIVELY. If an ABS system is received way more readings from a sensor then it should, or if the measured wheel speeds are much more erratic than expected, or if it has reduced the brake pressure to 0 and after a significant time, the wheels still aren't moving, it should revert to passive mode; you don't have ABS, but you do have regular control over your brakes. If the accelerator is stuck in the full-throttle position, and the driver slams on the brakes, pressing the pedal as hard and fast as he can, the intent is obvious: something is very wrong and he wants to stop NOW! Just maybe you should ignore the throttle, because just maybe it got stuck on the carpet! How in the world can a company like Toyota, which undoubtedly have many highly competent software engineers and dedicated safety engineers, produce a car (the early Prius) that has both of those very serious flaws, and probably many others? The network shuffling bits around isn't the problem, it's the software processing the bits improperly and without question that is the problem. Of maybe it's just greedy managers other people "in charge" with no clue about engineering not being personally accountable and liable for such major fuckups that are the actual problem. This "CAN" hackable bus BS has got to be the STUPIDEST thing I've ever heard. First, the "CAN" **** IS **** a standard bus. There's nothing special about busses. A wire between "two cans" is a bus. It's also an old telephone system. I soup up cars as a hobby. 600HP V8s are easy. I'd thought that this was a well-known vulnerability in CAN (I've used CAN in multiple medical devices). That said, in the ones where I knew the system-level behavior well enough to comment, the damage would be very limited, quite likely being none (other than a temporarily non-functional instrument). @SparkyGSX - I can't speak for how the automotive industry uses CAN, but the way I've seen it used in a couple different medical companies is that they send arbitrary-length messages which are packetized into the 8-byte packets that fit on CAN, then are re-combined at the other end. This allows for essentially indefinite room for authentication, etc - although it has a fairly high overhead. Not sure this is much worse than hardware failures that can occur anyway. While the hardware was failed the car displayed various dire messages: "ABS system failure: stop at once", "AWD failure: stop at once", "Traction control failed; drive carefully and stop at once", etc. Also other instrument malfunctions. However the car continued to drive perfectly normally at 65MPH down the highway, subject to needing to be careful to not drive aggressively enough to need the traction control. As such cars already need to fail gracefully if the hardware fails, so if this CAN vulnerability temporarily knocks a sensor off the bus the failures have increased, but these cases already need to be handled for hardware failures. Perhaps if this is bad concern car manufacturers can partition the CAN bus so a reduced set of endpoints could be attacked. But hardware failures are already possible anyway. "This is, in my opinion, only part of the actual problem. The REAL problem is idiot software engineers not programming DEFENSIVELY. If an ABS system is received way more readings from a sensor then it should, or if the measured wheel speeds are much more erratic than expected, or if it has reduced the brake pressure to 0 and after a significant time, the wheels still aren't moving, it should revert to passive mode; you don't have ABS, but you do have regular control over your brakes." I'm guessing it is only a matter of time before the "what, me worry?" attitude of the majority of the software industry meets the "safety issues must be repaired by the manufacturer at the manufacturer's expense" regulation of the automobile industry. It won't be pretty, and if the GM ignition-airbag issue and Toyota (presumably braking issue) weren't enough, I don't know what will be. Drivers using cars for kamikaze attacks are a favorite terrorist target now. How soon can we expect software to overide enough inputs to do this without the driver? Aa I've said before, whilst this protocol based attack against automotive CANbus is currently consider a "future" attack, it highlights a wider problem. Most programers think sequentialy and their designs reflect that as do a lot of their algorithms that end up in protocols and standards. As part of that mode of thinking is that "everything is local" as it makes designing systems and algorithms simpler. As communications engineers know few things are realy local and this opens a window for errors. One such issue is the sending of data packets on a shared network. A fundemental problem is in asynchronous shared network systems two or more nodes can start transmitting, resulting in errors. The question then becomes "How do you deal with errors from such collisions?" The obvious answer is to resend data, but that gives rise to two further questions of "How do you know you need to resend data?" and "How do you decide when to resend it?" It turns out that it's long been known that their are no reliable answers to these questions in asynchronous shared networks. What is used is probabilistic models that give rise to resend protocols that use semirandom backoff time delays befor resending. The problem with this is that it is not reliable thus giving rise to other higher level error protocols being required and secondly it is compleatly open as an attack vector. Worse the problems get worse the more of the communications bandwidth gets used, which can easily give rise to non linear cascade events giving rise to further errors thus more retrys untill the bandwidth in effect becomes blocked to new messages. You will find such shared asynchronous networks in many places, one of which I have mentioned a couple of times before is in aircraft systems. These problems get considerably worse when two or more communications networks feed into a common resource via a bridge or router as is often seen on a multiple LAN to single WAN connection. Because it alows an attacker on one LAN network to not just jam data packets from another LAN getting to the WAN, but due to the nature of the error correcting protocols enable the attacker to actually jam data being sent around the other LAN that does not go onto the WAN. That is it's a fairly major "Fault Injection Attack" using the backwards error correction, which means that it can be used against many Data Diodes that implement fault detection/correction systems. All asynchronous shared networks are vulnerable to this as are most --but not all-- synchronous networks. What makes the attack possible is that the semi-random backoff times are normally actually determanistic in nature with a little further information that can be obtained by passive listening, thus they can be predicted by an attacker to the attackers considerable advantage, not least being they can actually attack just a single host on the other network. This is not exactly "new information" as it was generaly known by the original protocol designers. But they did not have the luxury of resources we have today so they designed in a pragmatic way, which is nolonger appropriate. Unfortunatly "backwards compatability" has tied the hands of the future as it often does. Hence what was considered to be a corner case is now a practical attack vector waiting to be utilized, and at some point it will, and as with messages carved in stone, standards take what feels like geological aeon/eons to evolve out attack vectors especially when built in at the physical layers of the computing stack. First the MIL (check engine) light will come on for any critical module and there will be a diagnostic code. (I do automotive and often play with such things). The infotainment system is a problem, but do you want the video game console in the dash, or just an audio jack and/or bluetooth? Now it will be more interesting with all the connectivity and precision GPS dependent "self-driving cars" that can be jammed with an overdriven 315Mhz remote transmitter. More fun would be distorting the GPS signal just a few feet into the bridge abutment. But I haven't heard of ANYONE worrying about making a self-driving car or truck, or train of trucks hackproof. ALL AUTOMOTIVE "COMPUTER" SYSTEMS ARE BASED ON MERE ANALOG/DIGITAL CONVERTERS TO DETERMINE "CURRENT STATE." NOTHING IS EVER RESENT. An "error" might be logged that causes your "check engine" light to come on (also a "state" register). Thats' the sum total of the "computer" (it's not even a real computer). I *refuse* to buy a car that has any type of "electric" throttle control or brake control. Such cars are JUNK. Antilock Brakes are a more complex subject because of widespread implementation now -- even on motorcycles. Regardless, an ABS will never have a "shut off" that can be manipulated by anything external to each brake caliper and its respective rotor (which is all based on a strobe, anyway). By default, under ANY 'error' situation, the ABS system will default to standard non-ABS braking operation. PERIOD. Even power steering will default to non-power assist. Let us not be too quick in saying "Oh, Bruce, that's not news. Wo could be surprised?". What I see is in a way a repetition of the Ariane 5 disaster. Here like there some idiots took a fine, well working mechanism into a quite different definition and assumption set - and bang! CAN is a nice, well working mechanism that had proven itself well designed and very useful. *in the settings it was designed for*. Which are i.a. *controlled* environments where CAN is not the only means of interaction, particularly wrt security. Whatever engineers design is made for a purpose and based on a set of assumptions. The assumption set for CAN was *not* high speed, nor was it to transmit no matter what nor was it security. It is part of the assumption set that security is provided and not part of CANs tasks (although, to a degree, it lends itself to being a useful part of security mechanisms). That should be bloody obvious. The concept of CAN being used i.a. to transmit error, malfunction, or other critical messages in an industrial environment *bloody obviously* is based on the assumption that itself is reasonably protected by other means (such as technicians looking after problems or security staff making sure that no intruders are in the factory, etc). Whoever decided to grab CAN and to transplant it - largely unchanged - into cars was an idiot, is the real problem, and should be fired and locked away in a looney bin. @Clive: unfortunately, none of what you wrote is applicable to CAN bus; like I said, it uses a collision avoidance bitwise arbitration scheme, which means the most important messages (those with the lowest message identifiers) always make it though, even at 100% bus load. It does not wait for random intervals, the standard specifies that every node that has a message to transmit must start exactly 11 bit times after the end-of-frame bit of the previous frame; the arbitration scheme makes sure that the highest priority message gets through, so a collision never destroys the high priority message. @ab praeceptis: Careful who you're calling an idiot; CAN was specifically designed for use in cars, the automation industry is the one that ripped it for their own uses. Personally, I think connecting infotainment systems (complex, third-party software and hardware, running untrustworthy OS'es, with data connections to the outside world, etc.) to the CAN bus is a very, very stupid thing to do. I design hardware and software for aviation, and in cases where a system does not need to transmit on a CAN bus (like a data logger/telemetry system), we simply do not connect the CAN transceiver TX line to the microcontroller; it can listen to the messages on the bus, but it is physically impossible for it to transmit. Also, anything remotely safety-critical does not run the CAN bus, it is hardwired. Why something like ABS needs a CAN bus, if the sensors are at most 3 meters away from the main control unit, is beyond me. It introduces too many failure modes for very little gain. Be that as it may, it doesn't change the major point. CAN is adequate for principally otherwise controlled environments and non-vital functionality but not for cars, unless it's limited to non essential gadgets. Building mgmt/control is another field where CAN (or derivates) is often used, and that's fine if done with activated brains. Unfortunately that condition often doesn't hold as is evidenced by CAN linked security systems and devices. My other main point is driven by worries that news like the headline here risk to sully CAN, which, again, is a very nice and useful bus system for certain definition and assumptions sets. Using it outside those is not CAN being somehow being bad or useless or unsafe but the deciders being idiots acting unresponably. That's not a "failure mode." That's sabotage with a dashboard A/D converters hooked up directly to another signal generator(s) operated by thru a port in the computer. The actual devices at the wheels are not capable of doing that. Just cutting the hydraulic brake lines works, too. Or, drain the brake fluid. That's the reason for an emergency brake via steel cable -- in case the brake pedal linkage breaks or comes loose. AS I SAID, MECHANICAL CONTROL over steering, breaks, and fuel are imperative. Only an idiot would suffer a car that didn't have the mechanical controls. Am I missing something? So basically this is a DoS attack on individual devices on the CAN. Nothing to see here, move along. This is just as 'unfixable' as a DoS attack on the internet. The only interesting part of this is that the device detaches itself and doesn't retry communications (until, presumably, the car is turned off and back on). One solution is recursively splitting the CAN and checking for interference in each segment. Once you find a device that is interfering, you detach it (by reconnecting the network around the failing / malicious component). That is based on some unreliable assumptions, and you should know that if you are a communications or hardware trained engineer. Supposadly the CANbus is "synchronous" but it is not clocked, or master-slave / node arbitrated or token passing. Which means that it has to rely on data collision detection. Which makes it vulnerable under induced fault conditions, in the same way an asynchronous bus is. Hardware wise the CANbus is a two wire transmission line of around 100R impedance. It is partially differentialy driven that is when a node sends a data logical zero it drives one line towards V+ whilst driving the other to V-. To send a logical one it tristates the actual TX drivers. Thus the transmission line must have minimal capacitance and a low value of "match" resistance across it at either end of the active part of the bus. Importantly the TX circuit and collision detection logic must work correctly. There are two basic types of CANbus the high speed linear bus and the low speed star bus. The linear bus is terminated at either end by 120R resistors but not in the nodes. Whilst the low speed bus each nodes TX circuit has resistors in it. Data collision detection is vitaly dependent not just on the resistors across the bus and low capacitance but the correct tristate performance of the TX circuit, as well as correct functioning of the receiver and data collision logic. Unfortunatly to save costs it is often done in the nodes controling SoC CPU and may be entirely done by software. The way the data collision detection is supposed to work is by "seeing a zero when sending a one" and the logic should then "stop the transmission". That is when a nodes TX circuit transmits a data logical one it should see no voltage on either line (float) after a short settling period. But if another node is transmitting a data logical zero it sees V+ on one line and a V- on the other not a floating bus. The node should then realizes that there is a bus contention / data collison error and stop transmitting. A node which does bus contention / data collision in software on a SoC or equivalent with Flash ROM can be "got at". If the node is a cellular radio or WiFi node then it will in all probability these days have an Over The Air (OTA) "update" mode, where by the Flash ROM can be changed. Thus the attacker can listen to the bus and when it sees the target address just start transmitting zeros for the rest of the frame time. Thus it would be game over for the target node as it's data would be all zero's at a receiving node. This is as true for the supposadly synchronous CANbus as it is for all asynchronous buses. The fact that on the CANbus the attacker knows exactly when the retransmission is going to occur just makes that part easier. As I keep telling people "fault injection attacks" are usually realy devastating because even hardware engineers usually fail to make things fully "Fail Safe". Thus evil minded people that know this know where a designs Achilles heel is, and they just have to find a way to use it to their advantage. You need to learn to "think hinky" and say "If I was evil, how would I stick a spoke in the wheel...". PROOF of my assertion about mechanical control. Drive your car down a highway. Your ABS won't work. You won't have power steering. Your gas pedal won't matter. You can steer and you can brake and you can pull over safely unless you are a crappy driver. To begin with, security info on a network / shared bus is a bad idea (single point of failure). - But generally it’s reckless if “the system” doesn’t know how to react in case of failure. Assume there is a sensor attempting to tell the system: “Left steering knuckle pin is broken”. Besides of the validity of that information, not only time is challenging. AFAIK they think about a driver overtake latency of max 7 seconds. 2 seconds delay to grab the steering wheel may be to late, even at 30 mph. No doubt, even a terribly uneducated, simple minded driver out of the pampas would instinctively handle that situation to the best possible outcome, no sensor needed. But these are the jobs we try to eliminate at all costs. And we don’t know how to fight misery and terrorism. Chelloveck: it's worth noting that, in my experience, infotainment systems run all their software as root and have only recently done any kind of hardening like address randomization. And while automotive systems are safety-certified under ISO 26262, they typically disclaim everything with regard to security: any intentional attack, by anyone, voids the security claims. Chairman Mao: I did that in driving school (not on a highway or at 150 mph). Everyone I've mentioned it to thinks it's crazy and has done no such thing; they don't even don't know the quick/easy way into Neutral. "Other, crappy, drivers" should really be in our threat models of road safety. How "off" is "off" on a modern car? I wouldn't be surprised if the key position is more of a suggestion to an ECU than an actual power switch. In other words, if CAN isn't working, will that switch do anything? As was noted in the Toyota investigation, the brakes are mechanical but nevertheless physically incapable of overpowering a running engine. Why is digital logic controlling airbags? A simpler analog mechanism would be more reliable. How "off" is "off" on a modern car? When all dashlights/indicators are dark and your engine is actually dead from a lack of fuel flow. I wouldn't be surprised if the key position is more of a suggestion to an ECU than an actual power switch. So much said for STUPID cars. A car that actually depends on a crude electronic crypto key to start/stop is almost as dumb as no mechanical control over brakes, fuel, and steering. In other words, if CAN isn't working, will that switch do anything? As was noted in the Toyota investigation, the brakes are mechanical but nevertheless physically incapable of overpowering a running engine. I've been behind the wheel of hundreds of cars including Toyota. I've never driven a vehicle yet (not even a race car) that cannot overpower the brakes. If a consumer-vehicle brakes can't overpower its engine, I'd put a bullet in the block and send it to the junk yard. I did that in driving school (not on a highway or at 150 mph). Everyone I've mentioned it to thinks it's crazy and has done no such thing; they don't even don't know the quick/easy way into Neutral. "Other, crappy, drivers" should really be in our threat models of road safety. I think you just stated a perfect way to identify "crappy drivers" without even turning them into crash test dummies. They've never flown an airplane, either. Part of flight school is learning how to land a plane without engines and even gauges. Personally, I think everyone should learn how to ride a motorcycle before they get behind the wheel of a car. It'll teach them a lot, REAL FAST. When you've got "skin" in the game, it makes a big difference and gives a new driver the real meaning of "defensive driving." CORRECTION: I've never been in a vehicle where the engine can overpower the brakes. I've never been in a vehicle where the engine can overpower the brakes. Driving the Avalon down our track with the accelerator floored, our driver reached 60 mph and then pushed the brake pedal to the floor and kept it there with all the force he could muster. The Avalon finally ground to a halt, after over 500 feet. A normal stop from 60 mph would take about 140 feet. Again driving the Avalon with the accelerator floored, our driver found that applying the brakes more than once essentially eliminated the power assist. Using all his weight on the brake pedal was insufficient to stop the vehicle. The best our driver could do was to keep the Avalon from accelerating faster than it was already going. The page says many vehicles have "brake override" systems, which might make it seem like the brakes can overpower the engine. But they're not mechanical, they're software programs that will help you out if the computer's working correctly. There are Electronic Gear Selectors now too, where you'll only get to Neutral if the software lets you. Isn't the future great? Someone mentioned a cheap ODB scanner. It's probably a good idea to think twice before inserting one now. Presumably an arbitrated bus could resolve some of the issues, much like a priority/interrupt O/S, of which the Apollo Lunar Module Guidance and navigation system is probably the best-known example. The first manned lunar landing was only possible because the computer was able to continue even while dealing with erroneously running tasks. Physically, I think you would need a star-network with each communicating device having a dedicated path to the bus master, which is a bit impractical if you were hoping to use a ring or backplane approach. I think a message authentication protocol would be needed too. How many unmanned landings were attempted? Successful? As a percentage of attempts? How large were each of the unmanned landing vehicles (weight/length-width-height-payload)? How many manned landings were attempted? Successful? As a percentage of attempts? How many astronauts died during tests of manned craft landings? How large were each of the manned landing vehicles (weight/length-width-height-payload)? Thanks for those links, they were very interesting! It's not just trains, plains, and automobiles. Buses, trucks, boats, ferries, ships, helicopters, and hovercraft all share these very same unfixable vulnerabilities. Ever since our devastating loss in the Vietnam War, but especially since 9/11, we in America have been subject to the total surveillance of the dictatorship of the proletariat, stuck in a forever incomplete transition to the ideal paradise of Marxist communism. The industrial saboteurs will never allow our nation to move beyond this point of incompleteness. Even our legal system has been sabotaged beyond repair. Next time : how those researchers discovered that driving with a flat tire is hazardous. Bus OFF is always taken into account in car design. The basic rule in automotive software is : always assume that the network (be it CAN, K-LINE, VAN, TCP/IP or whatever) is can be out of service. In any car I worked on, a LED will blink or illuminate in red on the cluster panel if a security-relevant device is in bus off. Software Engineer working in automotive industry are certainly not specialized in cryptography but they are not that stupid. The "typical CNA network diagram" shown in TrendMicro link is just weird, not typical : OBD port is typically behind a gateway, preventing such Bus Error on the whole networks. I would never hire the guy who made that diagram. O red sun in my heart, I regret I am not your personal research assistant. Some enquiries with Internet search engines will give you answers to your questions. Please share the results of your glorious labours. May you live and grow in wisdom for 10,000 years. O red sun in my heart, I regret I am not your personal research assistant. As I suspected. You don't know. Like a good lawyer, never ask a question you don't already know the answer to. The problem is: You don't know the answers. Hence, your proposition about the "arbitrated bus" relative to the Lunar Module is nonsense. Certain "things" will become "self-evident" when you DO know the answer(s) to the questions I posted. Ranger Missions and Surveyor Missions. Add the Russians', too. Then there's the LLRV/LLTV quote: NASA built two copies of an earlier model called the Lunar Landing Research Vehicle (LLRV) and three LLTVs. Three of these five were lost in accidents: one on 6 May 1968 with Neil Armstrong as pilot; one on 8 December 1968 with Joe S. Algranti as pilot; and one on 29 January 1971 with Stuart M. Present as pilot. All three pilots bailed out safely. Apollo 12 Commander Pete Conrad commented, "(NASA Administrator) Dr. Gilruth, bless his soul, just worried to death that somebody was going to get bagged in an LLTV. And so, he asked everybody when they came back (from the Moon) 'Do you think it's necessary to fly the LLTV?' And, the feeling that I think Neil had and myself - and I'm quite sure the rest of the guys - was 'Yes, you really should go ahead and fly the LLTV.' But, having had the three accidents and having that one vehicle left, Dr. Gilruth asked the guys to figure out how many flights we got on a vehicle before we crumped one. And it turned out to be like 260 flights or something like that. To finish the training after the third accident, they had to fly 240 more flights; and, so, when Gene (Cernan, the Apollo 17 Commander) flew the last flight in his training, the thing went to the Smithsonian or whatever because nobody was ever going to fly that thing again as far as Gilruth was concerned. And he almost didn't authorize the training, see. And so, at least the early guys pushed very hard for everybody to continue flying it." Also note that Ranger missions crashed into the moon surface faster than a bullet. It's unclear how Micro-Sized Surveyors actually "landed" -- if at all. So... What's the ultimate conclusion to be derived here? NOTE: 2.38km per second is ~5323.908 MPH. Question: Can you even buy a new car without the auto-open thingy? That was hacked also. I don't want jack in my vehicle. No networking, no satellite radio, no cell phone interface. Just an encrypted door opener. The auto industry is full of itself. Nevermind Club Takata, more reasons to hate shopping for vehicles. Cool idea from BMW though: governor presets. Set speed governors like cruise control and use them to prevent speeding, goes in black box data when that cop jacks with you. O red sun in my heart, the capitalist running dogs' Ranger program was not a lander program. The Ranger probes were impactors, and never designed as landers. Specific lunar landing attempts before Apollo 11 were the capitalist running dogs' Surveyor program, and the Social Imperialists' Луна programme. Before Apollo 11, no manned landing attempts were made. Training on the 'Flying Bedstead' was regarded as essential by the astronauts. Armstrong's earlier than planned manual intervention in the landing process probably prevented an abort or crash. When Hal Laning designed the Executive and Waitlist system in the mid 1960's, he made it up from whole cloth with no examples to guide him. The design is still valid today. The allocation of functions among a sensible number of asynchronous processes, under control of a rate- and priority-driven preemptive executive, still represents the state of the art in real-time GN&C computers for spacecraft. The point about using an arbitrated bus is that with the right kind of arbitration, and architecture, an individual device cannot crowd the bus, just as an individual job or task could not swamp the AGC. How much fuel did it carry? What did it weigh? What were the specs on the retrorocket? What's the fuel consumption of the craft during decent from 5000+ MPH to 13fps? How much fuel on board? How was it controlled? There was no computer on-board. 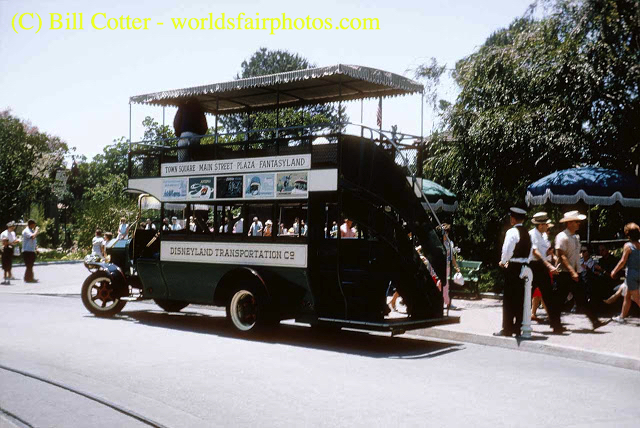 Is this the "arbitrated bus" you are referring to? How much fuel did it carry? Difficult to say. The Surveyor-D retro-rocket assembly was about 1463 lbs (Surveyor-A 1377 lbs). The motor-casing + nozzle was 144 lbs, (Surveyor-A 142 lbs) and 1444 lbs (Surveyor-A 1377 lbs) with propellant (aluminium, ammonium-perchlorate and polyhydrocarbon case-bonded composite). 4.5 lbs nitrogen was carried for the gas thrusters for attitude control. On earth, the overall weight of Surveyor-D was 2290 lbs (Surveyor-A was 2194 lbs). After discarding the used solid-propellant retro-rocket assembly and using the liquid fuelled vernier rockets and gas thrusters, the weight on earth of the craft's lunar configuration would have been about 625 lbs (Surveyor-A 620 lbs). What were the specs on the retrorocket? I don't know its delta-V. Thrust was between 8 and 10 thousand lbs, assuming operation in a particular temperature range.It was expected to operate for roughly 40 seconds. What's the fuel consumption of the craft during decent from 5000+ MPH to 13fps? How much fuel on board? There was a computer on board, or rather, computers (Command decoder, engineering signal processor, auxiliary processor, flight control programmer). The 'flight control programmer' controlled the descent. The altitude marking radar AMR was activated by ground command at approximately 200 miles altitude.All subsequent operations were controlled by the flight control programmer, although ground also transmitted a backup retro-rocket firing signal. When the AMR (pointing diagonally due to the probe's attitude) measured 60 miles to lunar surface, the flight control programmer would light the retro. (which ejects the AMR) after a pre-determined delay and also the 3 vernier engines (to provide attitude control).After retro burnout, the flight control programmer continued to control the verniers, until the Radar Altimeter and Doppler Velocity Sensor (RADVS) (which was separate to the AMR) gained a lock on the lunar surface.Using the RADVS, the flight control programmer then controlled the verniers to reduce the velocity to about 3 to 3.5 mph at about 13 to 14 feet above the surface, at which point the engines where cut, and the Surveyor landed in free-fall. Flight control of Surveyor, control of its attitude and velocity from Centaur separation to touchdown on the Moon, is provided by: primary Sun sensor, automatic Sun acquisition sensor, Canopus sensor, inertial reference unit, altitude marking radar, inertia burnout switch, radar altimeter and Doppler velocity sensors, flight control electronic, and three pairs of cold gas jets. Flight control electronics includes a digital programmer, gating and switching, logic and a signal data converter for the radar altimeter and Doppler velocity sensors. The information provided by the sensors is processed through logic circuitry in the flight control electronics to yield actuating signals to the gas jets and to the three liquid fuel vernier engines and the solid fuel main retromotor. ... The flight control electronics provides for processing sensor information into telemetry and to actuate spacecraft mechanisms. It consists of control circuits, a command decoder and an AC/DC electronic conversion unit. The programmer controls timing of main retro phase and generates precision time delays for attitude maneuvers and midcourse velocity correction. The Apollo landing trajectory was pre-computed, but allowed for the mission commander to vary the final stage to avoid landing on untenable terrain, which is what Armstrong did. Apollo 11, the first manned lunar landing, was an unqualified success. The descent was nominal until the beginning of the landing phase (an altitude of approximately 410 feet), at which time the commander (with manual control) was required to avoid a large area of rough terrain. The size of the area was such that the crew should have been able to detect and efficiently avoid it during the approach phase, if sufficent attention could have been devoted to visual assessment. Adequate visual assessment was not possible during Apollo 11 because of the guidance program alarms. The problem causing these alarms has been corrected. And no, that is not the arbitrated bus I had in mind. Try again. There was a computer on board, or rather, computers (Command decoder, engineering signal processor, auxiliary processor, flight control programmer). The 'flight control programmer' controlled the descent. The altitude marking radar AMR was activated by ground command at approximately 200 miles altitude. 0) The craft was approximately the weight of a grand piano in terms of moon-gravity. 1) Solid Rockets, once lit, stay lit until out of fuel. NO CONTROL. 2) There had never been a prior landing. 3) "Landing jets" == "Compressed air" for something heavier than the weight of a grand piano -- even in moon terms. A "Command Decoder" is not a a computer. A "Signal Processor" a "reactionary device" like in a car. A "flight control programmer" is a human behind a steering wheel. There is a 3-6 second delay between microwaves leaving an antenna on Earth, travelling to the moon, and 'bouncing' back to Earth. You have no reliable feedback. Doppler works from the viewpoint of the observer -- not the source (the flying object itself). "Autopilot" needs to know both horizontal and vertical "airspeed" to determine burns. Radar cannot calculate airspeed (or groundspeed) because there is no point of reference. The "moon" itself is too big relative to the "Surveyor". Thus, no means to determine relative airspeed. And you can't control the "throttle", either because it's a solid booster. "Autopilots" were created for airplanes after millions of hours behind "the stick." The Wright Brothers didn't have autopilot. These experiments were controlled by the Wright Brothers on Earth. Here's what I think. In fact, I toured Cape Kennedy when Apollo 17 was sitting on its launchpad awaiting launch. I think NASA flew "landing missions" with an UNMANNED LEM -- several times. Failures. All of them. Apollo 11 to 17. The fact is they couldn't pack enough fuel into the Surveyor craft nor the LEM -- neither for braking from orbit-speeds nor liftoff (escape velocity). The moon program was terminated because they couldn't figure out how to land that massive LEM without killing everyone onboard; and, getting them back alive. "Wag The Dog" -- Dustin Hoffman. The first casualty of war is truth. The beginning of what we now refer to as totalitarian technocracy and "fake news" was birthed in the Apollo Project. However, The "Flight To the Moon" ride at Disneyland is *slightly* interesting. Today's political creed: "If you can't dazzle them with brilliance, baffle them with BS." Likewise, Hitler said if you tell a big enough lie, everyone will believe it. The "thrust" of "8 and 10000 lbs" is in Earth's "Air" atmosphere is the pressure gradient that forms within the actual cone of the rocket. In the vacuum of space and the moon's non-atmosphere, it's much more like driving on lake in wintertime. Step on the gas. Spin your wheels - Really fast. Hit the brakes. Slide across the lake. O red sun in my heart, I regret my mastery of correctness of thought is very different from yours, and I must withdraw to reflect upon establishing correctness of relationships and correctness of actions. and the standard Temp of the earth at sea level is about 288 Kelvin. The geopotential equation is po To = po / Go R.
The forces acting on a single body are the thrust and [parachute] drag upward and MG downward. That's 'approximately' how much fuel you need to land the LEM or the Surveyor on a ~~Zero Atmosphere Moon. ON THE BRIGHT SIDE, we CAN land on Mars without too much trouble from dense Earth atmospheric "delta-v" requirements for the "reentry velocities." Reentry velocity is about 2,500 meters per second. What are you saying? The moon landing was a deception? It never happened? Oh well, so much is told by nasa themselves, albeit slightly "encrypted". Just google for the nasa engineer who proudly explains that once a certain current research project is successfully finished they might actually be able to pass the van allen belt with manned flights. It's IMPOSSIBLE to land in a zero-atmosphere environment without nuclear engines. Tho it's not a part of my analysis (the belt), I figure that's what Neil Armstrong figured out real quick before he and Walter Cronkite went to Disneyland. Today, they are trying to figure it out. I believe it's possible.. The only four things that puzzled me when I was younger were: The waving flag, the shadows, lack of stars in the pictures, and how the module was able to reattach to the mothership. I am satisfied with the official answers I have read. Then again: what if the whole thing was a fake? Inconsequential to me; a waste of time to discuss it further. Water under the bridge. There will be those who believe it and those who don't. End of story! Nah, that woukd be too easy. Carry on! b) Much of the "evidence" listed there is no evidence but rather speculation, presumption, interpretation, etc. c) The third party construct is strongly biased (as to be expected from wikipedia). nasa and us of are a rather limited party while "the landing hoax theorists" are not limited to one region and one agency. d) The term "landing hoax theorists" per se shows clear bias against that party and implies that while the moon landings, unless otherwise proven, are to be presumed as facts or at least as very strong conjectures, while the others party view is painted as mere theory and, as if that were not enough, it's moreover associated with a hoax. e) counter positions are by no means limited to a hoax (as implied by wikipedia). f) the whole configuration is based in a wrong way. The correct way is: nasa spent billions of public money and nasa asserts to have been landing on the moon multiple times - it is *their* duty to prove that, and not the duty of those who doubt to prove nasa did not land on the moon. g) and importantly, there is strong evidence, in part from nasa itself, that the moon landings were faked (I mentioned one case earlier). So it's NASAs job to refute every single person who claims that every single piece of evidence that has ever been released by NASA is a fake? Well, we still have people who don't believe a solar eclipse is caused by the moon passing in front of the sun and that the moon itself is really a hologram - why shouldn't they take priority? If there were third-party ... Nah, that woukd be too easy. Carry on! The mathematical truth cannot be contradicted. Fuel == Payload == Mass too. Need even more parachutes to carry the infinity fuel in infinity fuel tanks. "Third party evidence" from members of the "same club" (CFR/Trilateral Commission)??? I'm sure there are many crash sites. In fact, based on all the Russian and American crash tests with programs like Ranger, there should be dozens of crash sites on the moon. I have a better idea as to "third party evidence". Turn those Google Earth satellite photographers towards the lunar surface from a Hubble III telescope. AND GIVE ME *** DIRECT *** (not filtered thru the NSA/Google complex) access to the Hubble III so I can look at it myself. That won't happen. Why? Too many swamp rats in the sewer. So it's NASAs job to refute every single person who claims that every single piece of evidence that has ever been released by NASA is a fake? No, it isn't. Don't take the bait. Propulsion works on PRESSURE (generated). To 'create' sufficient pressure, you must have both mass and energy. Energy without mass is a radio wave (as is "light"). Mass spread out across a three dimensional space is "density." Fuel = mass. Fuel has an atomic weight. You'll have a very difficult time landing on anything with a flashlight powered rocket. Basically, you have to create your own "atmosphere" within the confines of space behind the rocket nozzle with your own fuel (+oxidizer). EXTREMELY INEFFICIENT -- because you have to be able to decrease the speed of sound, too -- which is inversely proportional to the density of the "air" within "earshot" of the rocket nozzle. This is the entire basis of the field known as fluid dynamics. We won't bother delving into the subject of viscosity because we don't need it until we have a sufficient number of atoms (mass) in a relatively confined space. Extreme inefficiency results in the need for MUCH more fuel. OR, without a rocket, you can "splashdown" a LEM on the moon in the Sea of Tranquility with a trillion parachutes just like the Command Module in the Pacific Ocean with 3 or more parachutes. No in space propulsion works on thrust. You might remember Newtons second law that Force equals mass times acceleration. And Also the third law of equal and opposite reactions. More formally thrust is a reaction force quantitatively described by Isaac Newton's second and third laws. When a dynamic system expels or accelerates mass in one direction, the accelerated mass will cause a force of equal magnitude but opposite direction on that system. Which is the basic equation by which thrust works. There is no preasure involved. Just remember don't get wrapped in your shrouds the result will probably be undesirable for you. I suggest you retake your class in Physics 101. You flunked. You can't have acceleration without PRESSURE. AKA "DIFFERENTIAL PRESSURE". See the double derivative equations for deceleration above? I'm not going to argue with an idiot. PROOF: A ROCKET EXPELS "GAS." EVER HEARD OF THINGS LIKE "VAPOR PRESSURE"? See the words "Exit Pressure" in the Thrust equations of NASA at the top of the page? I found this at NASA for those who are interested. This is an interactive program in which you can investigate changes in the atmosphere and its effects on aerodynamic variables. It uses mathematical models of the standard atmosphere of the Earth and Mars. You can find the equations for the standard Earth atmosphere at this web site in both English units and metric units. Similar information is available on the Martian atmosphere. Based on your input velocity, the program also calculates the Mach number, dynamic pressure, and stagnation, or total, temperature on your rocket. The stagnation temperature is the temperature of the airflow at a stagnation point, such as the leading edge of the nose cone. The pressure, temperature, and density of the atmosphere constantly change. At any one time there are great variations in the properties of the atmosphere, depending on location around the planet and height above the surface of the planet. The mathematical models used in this simulator show an average variation of properties of the atmosphere at various heights, but not at various locations. The simulator will not predict the temperature or pressure at any single location at any time. But it will help us understand the relations among the values of a given variable at different heights. The simulator can also demonstrate the relative magnitude of the variables on the Earth and Mars. The lower right portion of the simulator provides output information. You can display either the temperature, pressure, density, speed of sound, dynamic pressure, force ratio, Mach number, or total temperature on your rocket in the output box. Output gauges also display the atmospheric temperature and pressure. The speed of sound depends on the type of gas in the atmosphere (nitrogen and oxygen for the Earth and carbon dioxide for Mars) and on the square root of the temperature of the gas. The dynamic pressure depends on the gas density and the square of the velocity and is an important design constraint on full scale rockets. You can make a comparison of the aerodynamic force generated on a rocket at two altitudes. The force ratio displayed here compares the aerodynamic force generated by a given rocket design, at the specified velocity, at the selected altitude (and planet) to the force generated by the same rocket, at the same velocity, at sea level on the Earth. You can compare the Mach number of a rocket at two altitudes or on different planets. The Mach number is computed at the specified altitude and velocity. Since the speed of sound depends on the temperature and the gas, you will note some important differences in Mach number. As the Mach number gets closer to (or exceeds) one, compressibility effects, like shock waves and wave drag, become more important to the rocket. Finally, the program determines the stagnation, or total temperature, which occurs on the nose of your rocket. The total temperature depends on the local, atmospheric, static temperature and on the velocity of the rocket. When you get negative values at your "nose cone", you'll be in a state of deceleration. Yes, indeed - and that's not my opinion but the law. A gov. agency is obliged to show (prove) that funds have been properly spent and tasks have been achieved. And: No, not every single person who ... But then, your proposition is false, anyway. At least I know nobody who submits that "every single piece of evidence that has ever been released by NASA is a fake". But yes, nasa must provide irrefutable proof for what they spent the tax $ and for at least very major achievements. Let's play a little: There are some people, some even postgraduates and researchers (or "researchers"? Apologies, I don't care a lot about those theories and hence have very limited knowledge about it), who show some oblongated (or very large or very small) skulls from some south-american museum and call them "proof extraterrestrians once were here". Well noted, my point is not the matter per se but rather how we deal with it. *Of course* there are plenty of people who simply wave that "extraterrestrians" theory off and call those people lunatics with fake evidence. Why don't we call nasa "lunatics with fake evidence"? Basically because it's large and a gov. agency, because the media push their story, and because it's a part of the reigning order - in a way just like the vatican some 100 years ago. One did not doubt the vatican and today one does not doubt nasa? That's where science enters the game. *That* is one of its raisons d'etre. Science (well, theoretically) doesn't care much about who says something; it cares about evidence, proof, objective facts. And the facts, sorry, are to be strongly doubted in the case of nasas moon landings. Well, we still have people who don't believe a solar eclipse is caused by the moon passing in front of the sun and that the moon itself is really a hologram - why shouldn't they take priority? That may be the case but solar eclipses are not a task for which tax $ are spent and for which some gov. agency ows any accountability or proof. Apologies, I don't care a lot about those theories and hence have very limited knowledge about it), who show some oblongated (or very large or very small) skulls from some south-american museum and call them "proof extraterrestrians once were here". What do you mean by "extraterrestrians WERE ONCE here"??? We're STILL here. But, those pointee-headed mofos were born with a bad birth defect. At a more serious note: I liked your excursion into the realm of physics and your strong reminder that those laws are valid even for the mighty(?) nasa. Another aspect that might be closer to many of us here is the van allen belt and semiconductors problem which strongly suggests that no on board computers were available, making the whole operation quite unlikely. Funnily many, probably due to wikipedia, think "so what. we have radiation hardened processors and other chips". That, however, was hardly true then and still is largely doubtful. Usually "radiation hardened" simply means that those devices, mounted under rather strict conditions and well shielded, can work reasonably well within a not too large distance from earth, typically in low orbits and some few in higher orbits - but still quite far from the v.a. belt. What's even more interesting is that I cannot locate ANYTHING ANYWHERE that actually states the volume of fuel payload on the LEM. The LEM published "dry" weight is ~17,000 lbs or kg -- I can't remember. It's also smaller than the size of an RV BUS. If that's not bad enough, then I ask: Where in hell would they store even 7500 lbs of liquid fuel in ONLY THE BASE of that tiny little aluminum foil wrapped tin can??? 7500 lbs is equivalent to 4 automobiles. Add a giant helium tank(s), too! And a gocart, too? It is very clear you do not understand the difference between closed and open systems and even what preasure is. At the molecular level if we look at the behaviour of a single molecule in a gas. Which I suspect most readers here learnt in their early teens if not befor. 3) If the gas molecule collides with an object such as another molecule or the wall of a closed system then the molecule imparts some of it's momentum to the other object and in turn the object imparts some of it's momentum. Most people have seen a "Newton's cradle in action long before their terns so should have an implicit feeling of this behaviour. 4) In a closed system with the observers frame of refrence being the system wall, at whatever angle the molecule strikes the wall the result is it will produce a force "normal to the plane of the wall (i.e. perpendicular to the wall). This can be demonstrated on a snooker, pool or billiards table, and quite a few teens are quite familiar with this. Even those who are not will probably still be familiar with it from throwing / kicking a spherical ball at a wall etc. 5) If we now scale up to many molecules in a closed system the sum of their independent forces as they strike the wall in a given area is defined to be the pressure the gas exerts. That is the pressure of a gas is a measure of the average linear momentum of the moving molecules in a closed system. 6) Obviously in an open system there is no containment of the gas by a wall, the individual molecules will disperse at some rate and the density of the gas will fall to the point where the molecules do not colide with an other objects, thus will reyain their direction and momentum and as a result there will be no preasure by the molecular preasure definition. If I have an open topped container of liquid on a stand with an outlet at the bottom which feeds a pipe. If you have a 90degree bend in the pipe so that it runs horizontally for a distance then you can calculate the presure in the pipe fairly easily. As the preasure is in effect defined by the mass of the water under the influance of gravity it will stay constant as long as the level is maintained in the container. As you possibly know this is the basic principle on which a "water clock" works and they can maintain time fairly accuratly by normal human standards. Now at the end of the pipe you have a flexible part that you can squeeze. If it is unsqueezed then water will flow out horizontally at a predictable rate and will form a stream that will follow a curved path down towards the ground. As long as the preasure remains the same in the pipe and the CSA of the outlet is not changed the path will remain constant. From this path you can calculate the kinetic energy. Now as anyone who has played with a garden hose pipe knows if you squeeze the end of the pipe the curve flattens out and the point at which the stream hits the ground moves further away from the end of the pipe. From this it shows that although the preasure in the pipe has not increased the kinetic energy has. Do you know how to explain this increase in kinetic energy? You don't even know how to spell pressure. You don't know what "dynamic pressure" is. You don't know a "pressure gradient" is. You don't know why the speed of sound is so important to both when a rocket is fired in a vacuum (zero gravity). Go play with your hose. Maybe you'll understand "mass flow rate" when you are finished. That's far outside of my field of expertise and so I won't comment a lot on your posts but I read them interested and, from what I remember, it sounds reasonable and makes sense. Friendly greetings and 謝謝 (xie-xie). "No test flights" for the LEM is all you *really* need to know. Human monkeys are the Wright Brothers. Chuck Yaeger was natural daredevil but he nearly died when he lost thrust from his auxillary rocket when he hit the vacuum of atmosphere-space envelope (near vacuum like the moon) in his NF-104A "Starfighter". Note that the combat purpose of this class of aircraft is to shoot down satellites in orbit. Thanks for the links you provided although I have to admit that I stopped watching the video after mere seconds due to its utterly debile "attention! totally awesome hyper-science" style and shopping-mall music. As for the book link, that was interesting and should open some eyes ... and thoughts, too, btw. Example: transporting at least not dimensionally more payload than the couple of thousand pounds or kilos you mentioned wrt the moon mission merely the short distance to the ISS station and the difficulties and efforts involved - and that in the 21st century - one can't but wonder how they would have brought something of similar weight incl. some astronauts to the moon and back half a century ago. How come they (so they want us to believe) could do that, passing the v.a. belt, over a distance of about 1000 times that to the ISS in space vacuum when today they have to buy their rocket engines in Russia to get some satellites into LEO? Agreed... almost. Regardless, if I gave you the right link, that's an "official Grumman" video from 1989 describing the LEM. FYI, I think I found a "key" piece of evidence that would've caused NASA to call Disneyland. Apollo 10 took the LEM 4 to the moon and "crashed it" into the moon. Apollo 10. "Snoopy" -- the prankster of pranksters. Red Baron crashed and burned in the Pumpkin Patch. If you read the article, the "landing stage" of the LEM death trap crashed into the moon while the "astronaut's coffin" was "jettisoned" into the Sun. ANSWER: For the same reason the Saturn V rocket system had the emergency jettison rockets on the nose tower (top) of the command module (to allow ABORT like an ejection seat in a jet fighter). They tested the docking, first. Probably went OK.
Then, the maiden voyage of Snoopy the Red Baron began. The test flight began its decent into the moon, the main landing rocket fired, it probably didn't slow down like they wanted to and/or started to spin end-over-end (much like the video of Armstrong in the LLTV), and to "save the inhabitants of the lunar coffin", it fired the ejection seat -- expelling the coffin known as the astronauts sardine can towards the sun (because that happened to be the direction it was facing when the 'ejection seat' ignited). That's the only logical explanation, too. @Cassandra: you're my new hero for the way you dealt with Chairman Mao's argumentation. @Chairman Mao: Oh most illustrious one, whose wisdom outshines even the most total of eclipses, I bid you welcome to my mental block list and reflex scroll-down. Objectives included a scheduled eight-hour lunar orbit of the separated lunar module, or LM, and descent to about nine miles off the moon's surface before ascending for rendezvous and docking with the command and service module, or CSM, in about a 70-mile circular lunar orbit. Pertinent data to be gathered in this landing rehearsal dealt with the lunar potential, or gravitational effect, to refine the Earth-based crewed spaceflight network tracking techniques, and to check out LM programmed trajectories and radar, and lunar flight control systems. Twelve television transmissions to Earth were planned. All mission objectives were achieved. Circa 2009, NASA finally figured out that they needed to know more about the lunar 'atmosphere' before sending Snoopy the Red Baron on any more suicide missions with "retrorockets." They decided to build a lunar-orbiter-equivalent to the National Weather Service. The Moon may have a tenuous atmosphere of moving particles constantly leaping up from and falling back to the Moon's surface, giving rise to a "dust atmosphere" that looks static but is composed of dust particles in constant motion. Apollo 14 was loaded with more fuel (amount unknown) for the LEM retrorocket. Now we DEFINITELY know why Snoopy crashed into the Pumpkin Patch. The Wright Brothers died during Apollo 10. On the bright side, DisneyWorld attendance skyrocketed (pun intended). Please take this to a squid thread. I'm not sure what your point is. Get to it: OK, so the moon landing was a fake. Now what? Here's my final thoughts on the subject. The nozzle design of a thermal rocket is crucial to its performance and efficiency. The magnitude of the thrust delivered in the rocket is directly proportional to the mass flow rate provided by a nozzle, which, in turn, is directly proportional to the nozzle's exit area. Thus, a larger nozzle delivers a higher thrust for the same exhaust speed. The static pressure of the exhaust gas is rarely equal to the ambient static pressure at the nozzle exit. The thrust due to aerostatic pressure at nozzle exit is positive magnitude whenever pe > pa (an underexpanded nozzle). This is the situation at very high altitudes, where the ambient conditions are close to a vacuum (pa ~~ 0). However, in order to utilize this additional thrust, the flow expansion must occur inside rather than outside the nozzle. There is a loss of propulsive efficiency due to underexpansion of the flow inside the nizzle, as the flow kinetic energy is not fully converted to thrust at the nozzle wall. As I described earlier about 'creating your own atmosphere'. Instead, the solution in dirty-vaccum environments is to have a very large, wide cone shaped more like a soup bowl-- coupled to a very large engine, lots of fuel/oxidizer, big fuel pumps, and thus mass flow rate. This will make a landing craft respond more like a Lincoln Town Car on wet asphalt instead of an out-of-control long nose dragster on a frozen lake in wintertime. It can be fueled in space (space station?) instead of the alternative -- building a Saturn X rocket that is as big as a World Trade Tower. - I agree with Wael. You should move this to the squid. Apologies. I simply didn't look but took it for granted that this was in the squid. Not exactly smart from me, sorry. Snoopy vs the Red Baron cartoon (Charlie Brown's Halloween Special). One of my favorites. Just like Charlie Brown -- the Astronauts were supposed to collect moon rocks if Snoopy could actually survive his crash landing. The Astronauts, themselves, picked the "code" (mascots) for their own mission as Charlie Brown and Snoopy because, truth be known, that's how the astronauts really felt about their mission. They knew it was a fake and fraud and mirrored the story of Charlie Brown and Snoopy in the Pumpkin Patch. And, since then, they've also become the "hero" known in the cartoon as the Great Pumpkin -- who turned out to be Snoopy the prankster. Enjoy the Youtube cartoon. It tells the story. It's cute, funny, and sick at the same time in light of what we now know about the Mission to the Moon. The astronauts were actually telling us the truth in 1969 (while avoiding court-martial) by naming their mission vehicles to parallel the characters in the cartoon -- with the same basic storyline. Lets take things in reverse. "Mass Flow Rate" is more frequently called "m dot" based on Newton's notation for differentiation and marking a dependent with a dot. Most people are more familiar with the notation employed by Gottfried Leibniz whic is used throughout mathematics and is almost pronounced as a matra of "d x by d y" or writen as dx/dy. As the name implies "mass flow rate" is to do with the change in the ammount of matter passing through a plane of refrence or boundry in a given change in time (thus implying a bounded meaurment system). It is given in Kg/s in SI nomenclature. As mass is a scalar quantity, the "mass flow rate" --which is the time derivative of mass-- is also a scalar quantity. You sometimes hear it refred to as "delta mass by delta time" which gives you dm/dt. It's one of the things that are important when assessing rocket nozzles. Which simplisticaly consist of an input port that feeds into a throat or choke point followed by a transition to a larger CSA exit port. Which brings us back to that hose pipe and a series of experiments carried out by the Italian natural philosopher --these days physicist-- Giovanni Battista Venturi (1746–1822) after whom the Venturi effect is named. It is about the reduction in fluid pressure that results when a fluid flows through a constricted section (throat or choke) of a pipe. If you are what you are pretending to be you would have known that and made comment but you did not. Instead you tried to laugh it off. In what some teens would describe as "Epic Fail". Speaking of pressure I actually described it in one of the ways NASA and other educational institutions around the world do to those entering their teen years. However as peoples education progresses they get taught about pressure in a more formal way. Again in the SI nomenclature pressure is the force per unit area the force being normal to the plane of the surface --ie perpendicular-- as I indicated. It can be measured in a variety of units but within science it's general meassured in pascals, where one pascal is 1 N/m^2. Said as "one Newton per meter squared". Speaking of Newtons a good approximation on earth that teens and younger can easily grasp is "The force that one medium sized apple applies to your hand when you hold it". Or two small eggs if you prefer (just be carefull how you ask a German cook to boil them if you don't want to be in a world of hurt). This is where we go back to the thought experiment and kinetic energy I posed you in my last posting. As I've already mentioned Giovanni Battista Venturi and his work I should likewise mention a contemporary of his, the Swiss mathematician and natural philosopher and Fellow of the Royal Society Daniel Bernoulli FRS (1700-1782). He was famous for a number of things which are relevant to rockets and flight, and as I noted about your apparent ignorance about Venturi I guess the same applies to Bernoulli. Dynamic pressure also called "velocity pressure" is derived from Newtons laws of motion. The first of which is the linear conservation of momentum. Simplistically when something has started to move under the influance of a force it keeps going at the same velocity untill some other force changes that velocity. As the thought experiment indicated molecules of water would keep going in a straight horozontal line if it was not for the influance of the earths gravitational force. Which as it's effectivly a constant across the area the thought experiment would take place, means you can use it to measure the kinetic energy of a molecule of water after it leves the throat/ choke of the hose pipe. Where "p" is the density in Kg/m^3 and "v" the velocity in m/s. Which brings us back to Venturi, Bernoulli and the thought experiment. If the hose is squeezed closed then the pressure in the horizontal pipe can be measured and noted. As the water is stationary this will give the static preasure (P) that can be noted. When the hose is opened water flows out of the throat/choke it forms. The preasure now measured in the horizontal pipe can be used along with the static pressure (P) to calculate the dynamic pressure (q) thus get the kinetic energy at the input port of the nozzle. Now having refuted your assumptions about my knowledge of dynamic pressure I could go on to do the same for "pressure gradient" but I don't need to as I've already described the basis for it in my previous post to you. You don't know why the speed of sound is so important to both when a rocket is fired in a vacuum (zero gravity). That made me laugh, firstly the "speed of sound" is usually refered to in fluid dynamics, by the term "Mach number" (usually "Ma" in equations to avoid confusion with mass). Because sound propagates mechanically through matter and changes it's speed by the mean density of the matter. The usuall rule of thumb by the way is that "a vacuum is empty space". That is there is no medium for the sound to travel through, thus the speed of sound in a vacuum would be zero meters a second... Likewise there is no causal relationship between a vacuum and gravity. That is you can have a vacuum on the earths surface which has ~10 N/m^2 gravitational acceletation force. Likewise you can and do have rocks and other solid matter floating around in what you call "zero gravity". More correctly the Mach number is a dimensionless quantity representing the ratio of flow velocity past a boundary to the local speed of sound of the medium. If you know anything about the speed of sound in a compressible medium like the earths atmosphere around sea level it takes aproximatly three seconds to travel a Km. However in the steel of railway tracks it travels around 17.5 Km in the same time. Thus if standing at a station you hear the rails sing/twitch before you actually hear the locamotive noise. I guess with preteens hardly traveling by train these days this "every day" example is aging. The thing is that the mach velocity for a medium is often where the compressible medium effectively becomes uncompressible. Which in air is where flight charecteristics move from aerodynamics to fluid dynamics which has a critical effect on flight surface performance. It is also where the energy from an explosion moves from being dissipated in an expanding volume to being trapped in an expanding surface called a "shock wave". If you ever see an explosion you can actually see the shockwave front due to diffraction. You can also see it on aircraft wings due to the density change effecting water vapour. Which adds confirmation to what I thought on reading your first couple of comments and it will be of interest to @Moderator. You have just poped up with the handle "Chairman Mao" but you exhibit similar behaviour to another handle that got banned for their behaviour. I suspect that the similarity in behaviour between the two handles is most easily explained by it being the same person. So I shall simply say that as far as I am concerned you are now effectively in the "trolling" behaviour that our host has asked people not to either indulge or engage in. Thus as far as I am concerned this exchange is now over. Manual landing had to occur within 4 minutes because RCS would run out of fuel (633lbs of propellant). We have enough fuel for 4 minutes of RCS 'burn' starting from an altitude of 500 feet. The delta-v is 2250 m/s down from ~50,000 feet to 500 feet. We have impulse of 311 seconds. Then we begin manual descent from 500 feet with up to 4 minutes of manual hovering and navigation by Armstrong then take place. What about the main LMDE? It's under "computer control" and "manual steering" for up to 4 minutes. For the LMDE, we only have 18,000 lbs of fuel with oxidizer, total. From orbit to touchdown. We have a ~37000 lb (~17,000 KG) vehicle with variable 1000-6000 lbs of thrust with a null zone between 6000 lbs and 9500 lbs of thrust because it burned away the nozzle (aka "erosion"). 100% thrust was 9,850 lbs. Initial speed is ~5000MPH. We are in a "gravity" "no atmosphere" environment. NOTE: MASS FLOW RATE OF FUEL for that engine at 100% throttle ~375 kilograms per second. Last, but not least, the "throttle system" on the LEM LMDE would probably explode. Liquid Helium was used as the throttle -- injected into the fuel system. ICE in combustion chamber means BOOOOOMMMMMMM! That's what Buzz Aldrin meant during a recent interview when he said that he and his fellow astronauts had "ice in their veins." The only entry point that is needed is a physical port that the dealer or a mechanic can connect to. If an update is needed, you can go to the dealer to get it. Or perhaps a USB port could be installed, and you could download the update and then install it with a flash drive. No other ports should have any access whatsoever to the car's computer system. The tire pressure sensors, wifi, bluetooth, and everything else, should be on a physically separate network, not connected in any way to the car's computer system.